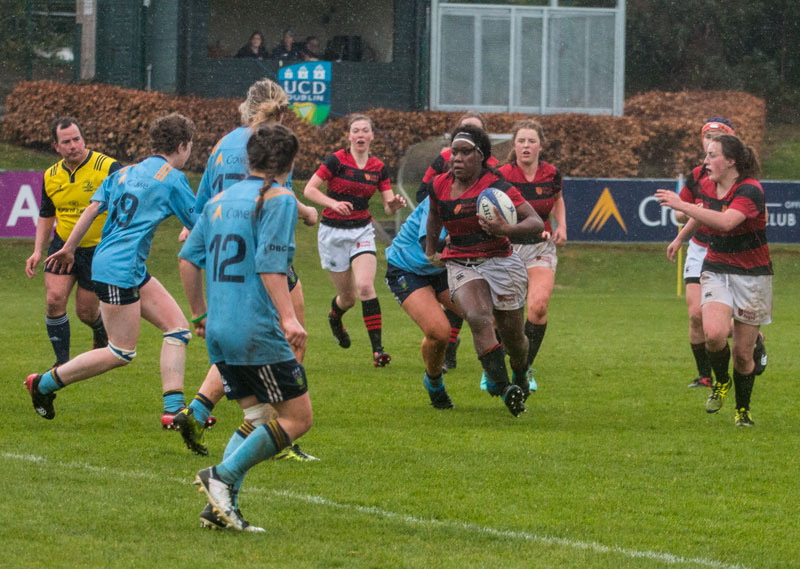 Dublin University Football Club (DUFC) triumphed over old foes University College Dublin (UCD), grinding out a famous 18-12 win in the torrential rain. 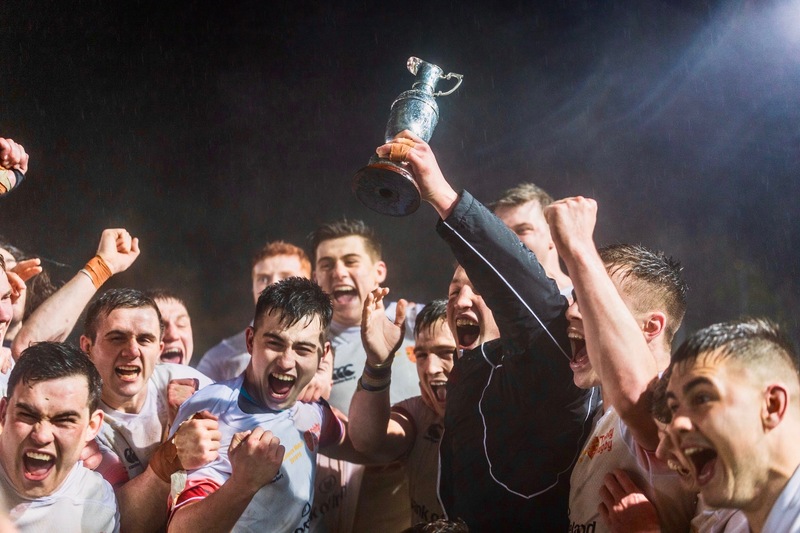 The victory saw them take home the Colours Cup, becoming the first Trinity team to win Colours two years in a row since 1996 and the first-ever DUFC team to win a Colours match in the UCD Bowl. 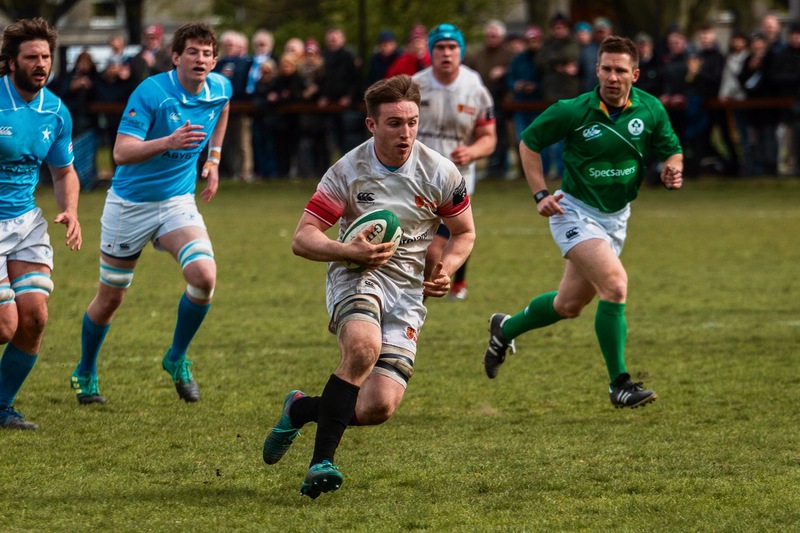 Most importantly, however, yesterday’s result means DUFC are within a hair’s breadth of an AIL semi-final. The magnitude of the game was reflected in the sizeable crowd that huddled under the stand of the UCD Bowl for the 67th meeting of the sides. 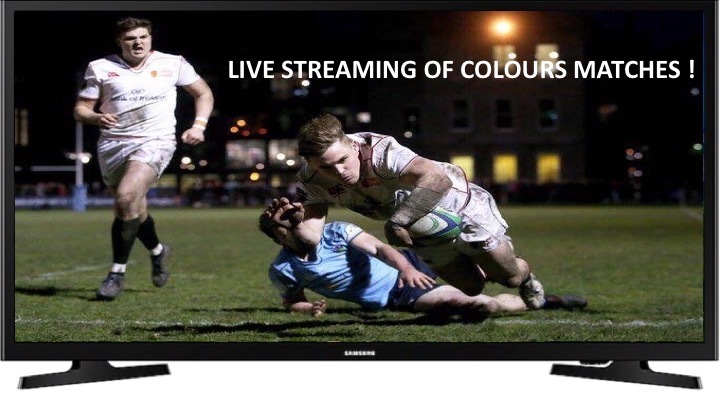 With huge implications in the context of the AIL, alongside the bragging rights of a Colours victory, the sense of occasion was tinged with an undeniable tension that reverberated through the ground. As the game got under way, one punter mused that Trinity’s fine run of form surely made the win a foregone conclusion. Despite his measured prediction, however, it was the home side that set the pace early on in the game. The first half was a melange of heavy hits and handling errors, with both sides struggling to get to grips with the wet playing surface. An early penalty scored by UCD’s top scorer Conall Doherty set the scoreboard ticking over for the men in blue. This jolted DUFC into gear and they began to play something resembling their usual free-flowing rugby. 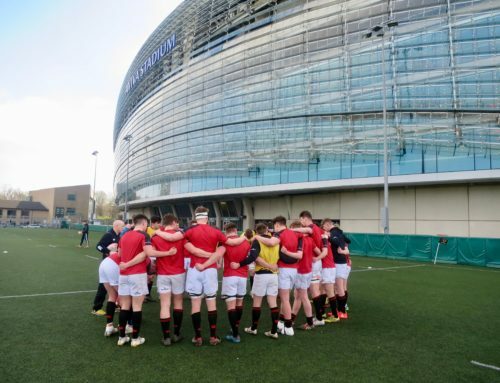 However, complacent passing prevented them from making any telling headway and UCD proved better at adapting to the appalling conditions, focusing on kicking for territory and pressing high on the Trinity 22. Good work off a line-out resulted in a second penalty for the home side, which fly-half Doherty made short work of. 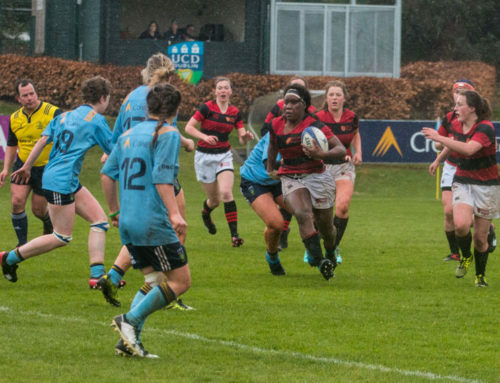 After a gruelling passage of play, with both teams camped on halfway and exchanging possession, DUFC’s Rowan Osbourne spotted a gap and burst through UCD’s defensive line. With the try-line at his mercy, Osbourne offloaded to Max Kearney, but a handling error from the flanker denied Trinity a certain try. UCD had survived, but cracks were beginning to show. 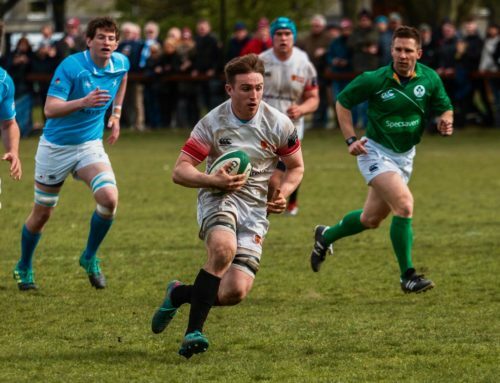 A burst of brilliance from Trinity, harking back to the fluid running display that ensured victory two weeks ago against Cork Constitution, set front row Dan Sheehan loose down the right wing. 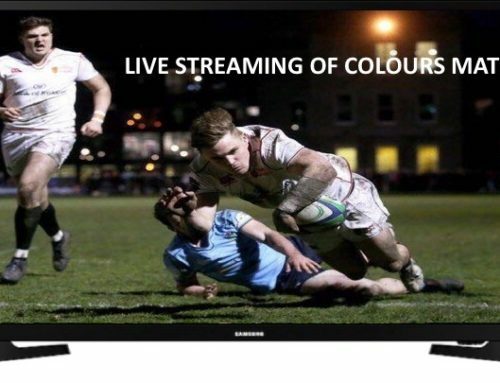 Precise offloads opened up the pitch and the move was finished off by Rob Russell, who crashed over the line for the first try of the game. Out-half Michéal O’Kennedy dragged his conversion, leaving UCD clinging to a single-point lead going into the break. With no sign of the rain letting up, the teams settled in for the second half with everything to play for. Trinity suffered a setback when captain Colm Hogan was forced off the pitch after an early tackle. Despite his absence in the backline, Trinity were impervious to UCD’s laboured attacking efforts, keeping the home side at bay with stubborn determination. Emerging unscathed, DUFC launched their own offensive campaign. They may have been good for another try, but a delicate kick over the UCD defence into the 22 by substitute James Fennelly failed to find a white shirt. Their efforts were not in vain, however, with referee Stuart Gaffakin awarding a penalty for an earlier infringement during the build up. Fennelly made amends, nailing the kick to put the visitors in front for the first time. Heading into the final stages of the game, both sides traded scores, with Doherty and Fennelly both accurate from the tee to leave the score at 11-9. Fennelly, so often the hero this season for DUFC, was at the centre of the action again when he collected a loose kick from UCD’s Matthew Gilsenan, piling the pressure back on a desperate UCD team. In a scramble for the ball, a tentative knock-on committed by DUFC prevented the home side from falling further behind. At this point, Trinity had their opponents against the wall. A poor box kick was collected by winger Ronan Quinn, keeping the action contained within the UCD 22. Trinity pummeled the home side’s defence, picking the ball and carrying with intent. After an exhausting push for the line, the ball was finally grounded by Dan Sheenan. Fennelly, faultless with the dead ball since his introduction, added the extras, leaving the score at 18-9. UCD managed to build a short period of pressure after the try, but a late penalty from Doherty was of little consolation for the home side. With the final score reading 18-12, starkly contrasting scenes greeted the final whistle. 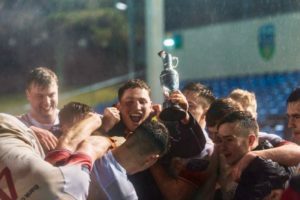 It was jubilation for Trinity, their playoff spot confirmed, while UCD were dejected, still facing the possibility of relegation. Clad in a tracksuit and supported by his teammates, captain Colm Hogan, now a major injury concern for the semis, accepted the Colours trophy to the delight of the travelling support.